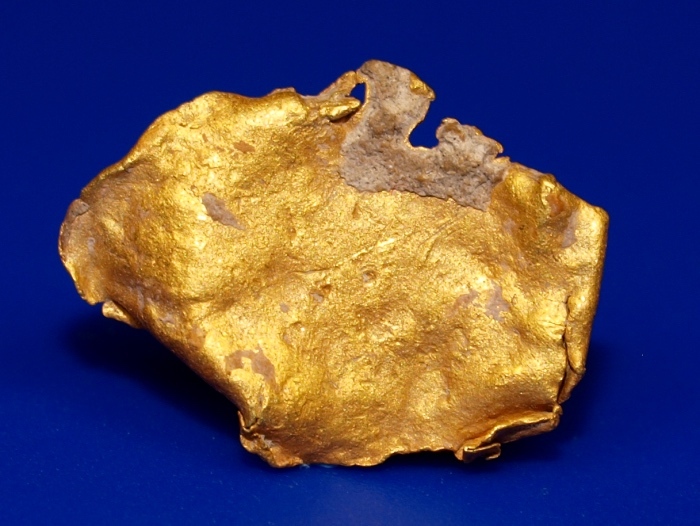 This amazing piece of gold was found in Pershing County, Nevada. 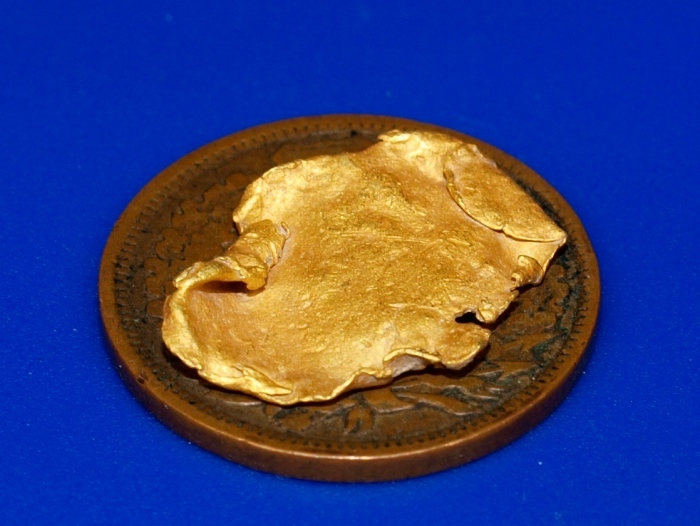 It is what is called "leaf gold" because it is naturally thin like a leaf, making it appear quite large for its weight. You can see in the photos that it even folds over on itself in some places. This is a rare structure that is highly collectable. It weighs 0.66 grams. 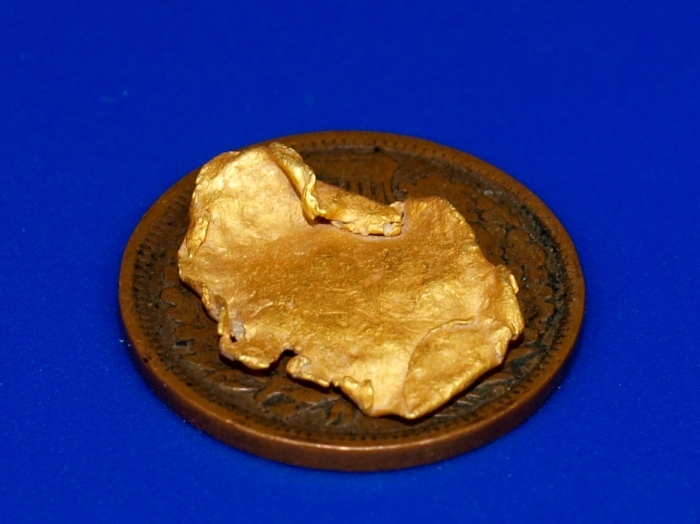 A really special piece of Northern Nevada gold. The penny in the photo is for size reference only. It will ship for FREE and comes in a nice display case.